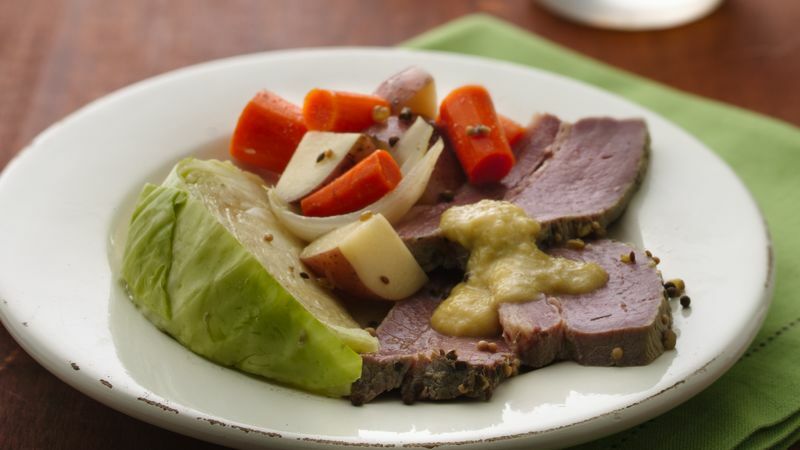 Corned beef was originally "corned," or preserved with granular salt, because there was no refrigeration. Today, the beef is cured in brine and spices are added for a distinctive tangy flavor. Trim fat from uncooked beef using a boning, utility or paring knife. Slice cooked beef across the grain for tender non-stringy slices.